The latest BTS documentary, "Burn the Stage," drew an accumulated 1.96 million moviegoers around the world, the K-pop boy band's management agency said Thursday. The documentary, featuring intimate behind-the-scenes footage of the K-pop band's 2017 concert tour of 19 cities across the globe, was released on Nov. 14 in some 40 countries. Locally, the film drew 310,000 viewers in the first three weeks of release, the highest audience record for any musical documentary, according to Big Hit Entertainment. Big Hit said 10.5 percent of those who saw the film once bought another ticket to watch it again. 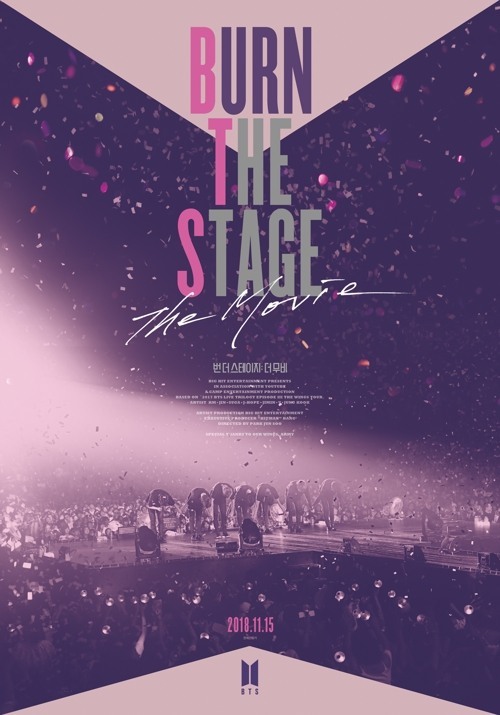 The so-called rewatch rate was the highest for any movie that drew more than 100,000 viewers, according to CGV, the movie theater chain which exclusively screened the BTS documentary. Could non-BTS fans enjoy ‘Love Yourself in Seoul’ concert film?